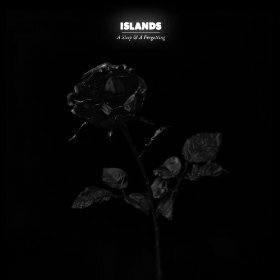 Canadian indie rockers Islands have gone through a variety of sounds and band members in their time. Frontman Nick Thorburn is the only remaining original member of the band, so it makes sense that sonically, A Sleep & A Forgetting is a natural follow-up to his side project, Mister Heavenly. That supergroup’s sound was defined as “doom wop,” and as this is a breakup album, it follows a similar vein. A glance through the song titles alone can give you an idea of the bleakness of this album. “No Crying,” “Can’t Feel My Face,” “Lonely Love” and “Don’t I Love You” really set the tone here, but credit is due to Thorburn. Rather than sounding self-indulgent or too depressing, the album is captivatingly raw and plaintive. “Never Go Solo” has a catchy piano line while the rest of the music is defiantly clattering. The lyrics are about the state of the band (“Why does it feel so wrong?/Everyone was already gone”), but they also feel like a metaphor for a broken relationship. “Hallways” is stunning and upbeat with a bit of 50’s swing spirit, even as the lyrics deal with being lost. The highlight for me is the mournful, acoustic “Oh Maria,” with lyrics like, “She said if every day’s a holiday, then today must be the day of the dead.” This feels like the most forthcoming song because of its musical simplicity and the opportunity for Thorburn’s voice to really capture his emotion. His loss is our gain, as A Sleep & A Forgetting is a powerful album with much resonance.